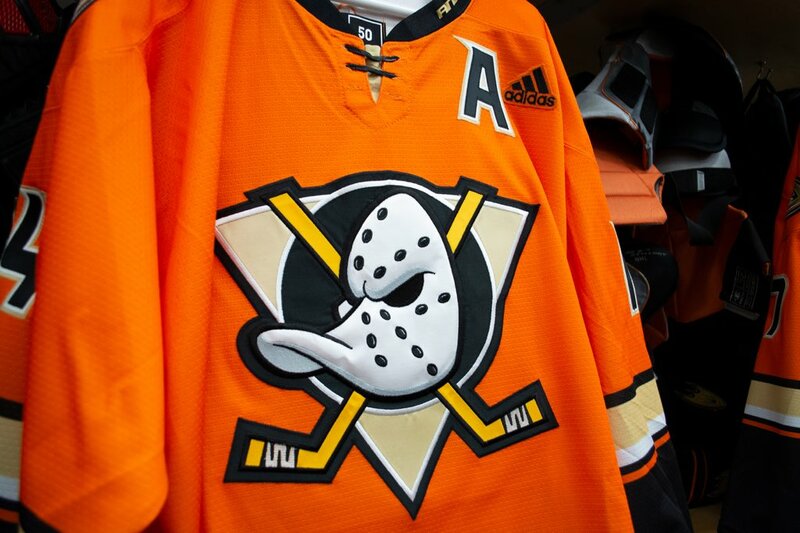 Ducks are showing off their second to last (they'll wear the movie jerseys next month) and most recent jersey tribute tonight - the Orange Mighty Alternates from just two seasons ago. As there have been with all the reproduced jerseys for this 25th anniversary thing, there are some discrepancies, but these ones are the smallest and one might be the most interesting difference yet. The "bad" differences are the sleeve stripes being sublimated rather than separate pieces like the originals, the black hem area is also larger than the original, the laces on the collar are clearly just in a three-hole template and they didn't thread them through the bottom set of holes instead of just making a two-hole template so the whole collar area looks off, and the "Anaheim" on the collar is sewn into the collar instead of a heat-pressed graphic like the original. You might actually say that last one is an improvement, much like the last big difference is. The logo. On the original third, it was a flat patch, not unlike you'll find on most Mighty Ducks replicas of any age. But on this reproduction, they're using the puffy raised crest like the original Mighty Ducks uniforms and the current 25th anniversary uniform. It definitely gives the crest more weight, but it does look a little off. Probably because the stripes are all sublimated so this is the only "heavy" element on the jersey. Again, it's strange that a jersey they literally still had authentics available to purchase in the team store over the summer has these inconsistencies now. But it does give me a little hope of if/when this alternate returns next season, they could go with the superior puffy/raised crest like they didn't do the first time. Anaheim Please! Please! Please! just go back to this look! I don't care if you pair it with Orange, eggplant or black/teal jerseys just bring back that awesome logo! Going to have to disagree with you here. The Kings may not have had playoff success with purple other than the "Miracle on Manchester" in '82, but they had relevence with one of the greatest lines in hockey history, "The Triple Crown Line" led by the great Marcel Dionne. Purple is to the Kings like royal blue is to the Canucks, Sabres and Islanders. 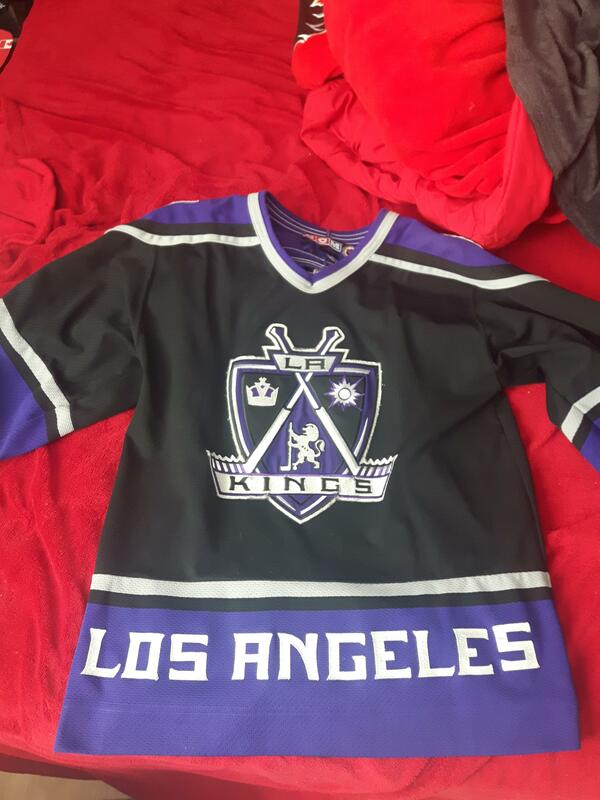 Unlike a team like the Penguins, who got it wrong from the beginning with powder/sky blue, the Kings got it right the first time with their colours. There is no other current nor future team that can wear purple and that includes Seattle. What the Kings currently have is cheap and boring garbage starting with their home plate logo. There is no other current nor future team that can wear purple and that includes Seattle. Even by the melodramatic standards of these boards this is a stupid thing to say. It's not stupid. I don't see Quebec becoming a purple team. Not even Houston. Disagree all you want but that's the way I see it. I'm staying with my argument and that's final. Kings are "NFL Raiders on Ice" to you and "Royalty on Ice" to me. Like the Utah Jazz, everything the Kings have ever done has been derivative of someone else, whether the Lakers, Raiders, or Sacramento. I'd say they should go strictly purple and white with no other colors, but then they'd be a mix of the Red Wings and Maple Leafs. It may be derivative of the Raiders, but the Kings made it their own. The Raiders don’t use nearly as much white as the Kings. Oh, you get no disagreement from me. Purple/white would be nice, but I’m not sure how they’d handle their template in a way that wouldn’t be derivative of the other one-color teams. Maybe sublimating a pattern onto the stripes? Still, avoiding purple is a must for the Kings, as it’s the color of their irrelevance. That's why I love the idea of going back to the Gretzky-era template but replace the black with purple. 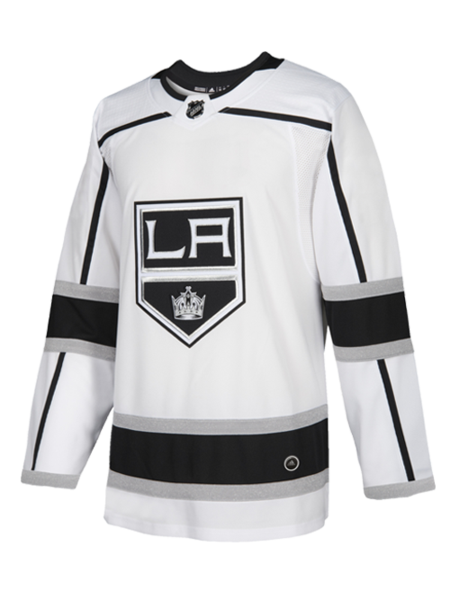 Go back to the Chevy-style logo but use the classic crown solely as the sweater crest. Purple, metallic gold and white would look good, and differentiate themselves from the Lakers just enough. It would have to be a very deep and dark purple rather than the "Forum blue" of the Lakers. Basically a more saturated version of the Ducks' old eggplant: #40002B if you're hex-scoring at home. EDIT: but wait, that's just a dark-n-fade, and everyone but the Brewers organization themselves is already tired of the dark-n-fade. It's not 18 years ago, we don't need sports teams to wear khaki and "deep plum"
Now this is something I like to read. The jersey is absolutely beautiful and hoping it latches on as an alternate. I love the Gretzky set to be honest. It’s the best the team ever looked. And given the success and notoriety the team has had in black and silver? I really think that’s what they should embrace. No other Kings colourscheme’s been affiliated with mainstream pop culture like black and silver has been. I do like the old silver & black, the Raiders look, but I really don't like their current unis; they're a cheap imitation that uses too much white and not enough silver IMO. Yeah, I don’t care for the current look, but I would want any change to be in the direction of the Gretzky look over anything with purple. The Kings are always forgettable when they wear purple. If only the Kings won one of their championships on the road. 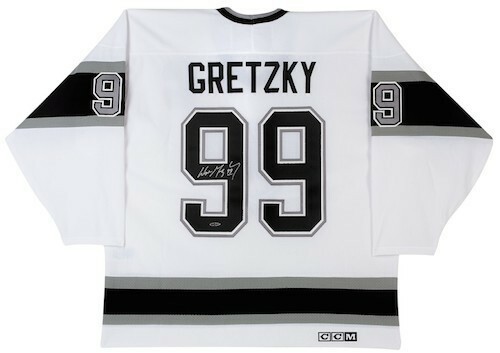 This jersey is a nice contemporary update to the Gretzky era look and, by contrast, the home version looks empty. From the piping masquerading as hem-stripes to the non-contrasting logo (Reversing the black and white would go a long way). I do like the silver & black, but I also like the gold & purple Forum Blue and black, silver & purple as well; which I like most tends to change depending on my mood. Presently I'm really feeling the black, silver & purple set; I own one myself, and the deep purple they used and the way the crest & letters shine looks so good to me. It's a vastly underrated uniform IMO, overshadowed by its predecessors. The Kings are a team that's had some stupendous downturns with a pair of high points, both of which just happened to occur while they were basically copying the Raiders. That their Dork Ages have mostly been while purple was one of their team colours is coincidental. I won't mind if they keep the silver & black going forward - though, again, I'd prefer more silver myself, especially on the home - but if they do decide to keep purple off their uniforms in the future it should be because they don't think it's their strongest brand, not because they just happened to be lousy while wearing it. You know, I never entirely hated the LOS ANGELES across the hem on those jerseys, same with the BUFFALO on the old red crossed sabres alt. I didn't think it looked good on the Edge templates with no hem colouring though. Yeah, Edgification really sucked the life out of them, the way it did to just about everyone's uniforms.